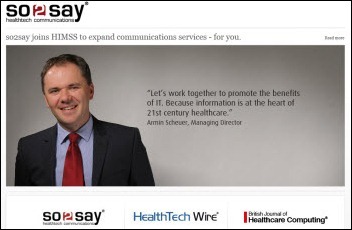 HIMSS announces its acquisition of for-profit so2say communications, a German healthcare IT news distribution company whose European publications include HealthTech Wire and the recently acquired British Journal of Healthcare Computing. From No Surprise: “Re: Presbyterian, NM. Epic is in, McKesson loses another account. E-mail went out to employees Wednesday. Also, Lee Marley started as CIO in August, coming from Stanford.” Posted here as a rumor on August 15, but a solid one since I noticed that Presbyterian had Epic inpatient jobs posted on its site. Lee Marley’s LinkedIn profile verifies that she became SVP/CIO at Presbyterian in August after a couple of years as associate CIO at Stanford. From Redial: “Re: [company name omitted]. Another shakeup: just days ago, [name omitted] has suddenly left as VP of business development following the sudden departure of [name omitted] in August. Senior VP [name omitted] has been moved to the side following the discovery of his romantic relationship with a subordinate. There have been other significant departments of key management personnel over the past 12 months. Something is definitely wrong at the top.” Interesting, although I’m sure the company won’t confirm most of that except by catapulting litigious lawyers in my direction if I name names. At least I can feel smug knowing who it is. From Ask Sam: “Re: HIPAA. Obviously they don’t know how to spell it.” They clearly need a new headline writer considering that healthcare is also spelled incorrectly (the article itself spells both words right, so there’s little excuse). From WhoBuyz: “Re: acquisition. Who could this be? The $300-500 million range sounds very large to go unnoticed.” Sources say huge India-based software and consulting firm Infosys is in discussions about buying a US “public services and healthcare space” firm for $450-500 million, with the unnamed company booking annual revenue of $300-500 million. Infosys has extensive healthcare offerings that include payor analytics, disease management, supply chain, wellness management, Meaningful Use optimization, data warehousing, and infrastructure services. UPDATE: according to several sources, the acquisition will be the healthcare business of Thomson Reuters, at a price of up to $750 million. Recent tidbits from HIStalk Practice: the 2008 HISsie cartoon revisited. 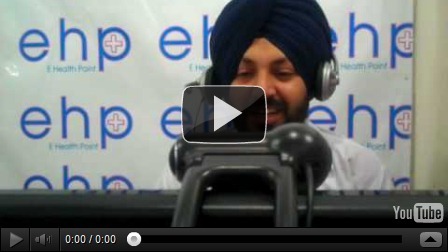 Telehealth saves money in the treatment of chronically ill patients. US doctors earn more than physicians abroad. Dr. Gregg claims he is a Luddite and embraces his “onesy” status. Jonathan Bush rants about Meaningful Use attestation and his wish for his competitors’ “ethically-based suicide.” Doctors are down on AMA. 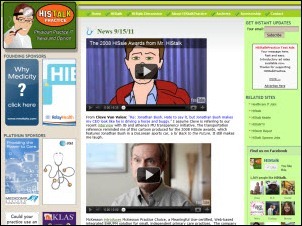 World peace, a balanced budget, or better knowledge of the ambulatory HIT world are possible if you take 10 seconds to subscribe to HIStalk Practice’s e-mail updates. Listening: brand new from Wild Flag, all-female low-fi rockers from Portland, OR. Latest pet peeves: simplistic does not mean the same thing as simple (the former means recklessly oversimplifying complex concepts), nor does opportunistic mean taking advantage of opportunities (it means taking quick action that may be ethically questionable). Vendor CEOs misused both words recently in the national press, which would have cast a negative light on their companies except for the fact that their gaffe sailed right over the heads of the majority of people who didn’t know the difference. Jobs on Healthcare IT Jobs: Expert MUMPS Developer, Epic MyChart Builder/Analyst, Senior Systems Analyst – Interfacing, Implementation and Account Manager. Medical billing and RIS software provider Zotec Partners merges with Medical Business Service, a provider of billing services for hospital-based practices. Allscripts CEO Glen Tullman, commenting on a share price that is virtually unchanged from a year ago, says integration concerns with the former Eclipsys put MDRX in “the penalty box,” but growth is coming since the acquisition positioned the company well for the changes spurred by healthcare reform. Shares in Merge Healthcare hit a 52-week high on Wednesday. Above is the one-year share price of MRGE (blue), the S&P 500 (green), and the Nasdaq (red). A year-ago investment would have earned a 151% profit ($2.77 vs. $6.95) if you sold Thursday. HIT services firm Gestalt Health appoints Charles Fazio, MD as CMIO. He was previously CMIO of Medica Health Plans. Availity names Kelly Heape Parsons CFO, SVP, and corporate secretary to replace retiring Margaret Gomez. Billing service provider AdvantEdge Healthcare Solutions hires John A. Roberts (InfoLogix) as chief financial and administrative officer and Michael Youmans (Concerro, McKesson) as SVP of sales and marketing. 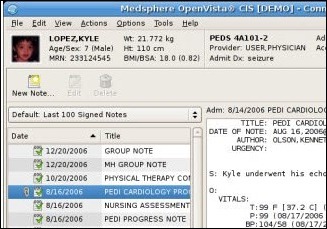 Medsphere announces general availability of its latest version of OpenVista EHR, which includes an option for users to customize their views, dashboards, and workflows. In Maine, Time Warner Cable launches Healthcare Solutions to connect providers and support home health monitoring by offering VPN service, managed security, and web conferencing. The AMIA 2011 Annual Symposium will be held October 22-26 at the Washington Hilton in Washington, DC. Keynotes include the director of NIH and Farzad Mostashari from ONC. AMIA is a lot more science-oriented than the HIMSS boat show – I looked through the list of sessions and didn’t see any duds, provided you’re of the informatics persuasion, anyway. Full registration is $835 for non-members if you sign up by October 6. Reports from there are welcome. McKesson integrates its iKnowMed oncology EHR with its Lynx Mobile drug inventory management system, allowing meds to be prepared in advance of the patient’s visit. Patient check-in company Phreesia announces an electronic Medicare Annual Wellness Visit Form that it claims saves providers 15 minutes per patient in complying with the new Medicare Part B entitlement. 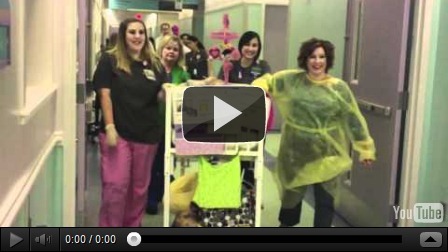 West Texas RHIO wins an Outstanding Program Award from the Texas Rural Health Association. The four founding hospitals, all of them competitors, use the remotely hosted ChartAccess Comprehensive EHR from Prognosis Health Information Systems. Dell Services Healthcare and Life Sciences wins a Project Management Office of the Year award for its 96% project success rate. Smiths Medical announces its PharmGuard Anesthesia Software Service, which providers hospitals with a customized anesthesia drug library for their Medfusion 3500 syringe pumps. 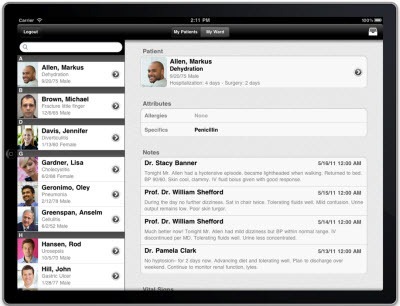 Anthelio launches a 24×7 physician-staffed help desk to support hospital clinical systems rollouts. Other types of clinicians are also available to callers. A CliniComp press release says that on September 11, 2001, its Essentris EMR used by Bellevue Hospital was the only inpatient one that kept running through the events of that day. I’m not sure: (a) if they’re talking about Bellevue only or all hospitals in Manhattan or New York; (b) how they know that; and (c) if using September 11 as a product pitch is in good taste. If you can get past those issues, the press release is a good read. Athenahealth’s co-founders are mentioned as backers of startup Healthpoint Services, which offers “e-doctor clinics” in rural India. Athena COO Ed Park is a director. Villagers can get a telehealth consult in the office for 80 cents and diagnostic tests for $1, which the company says is affordable to the patients and break-even for it. Vital signs are taken in the office and sent to the physician and to the EMR. The company also offers a water service that gives families the ability to fill their jugs with clean water for $1.50 per month. Hospital employees and their family members incur healthcare costs that are 13% higher than that of the general population; are 22% more likely to visit the ER; and are more often diagnosed with chronic medical conditions. Any theories why? Cook Children’s Medical Center (TX) opens a 106-bed, $51 million NICU with all private rooms, the largest in the country. They cite research showing that babies do better when light and temperature can be individually controlled and when family members don’t have to leave. SAP will release a tablet-based EMR front end app by the end of October, according to this article. Software Testing Solutions shared its booth with an animal rescue organization at the Sunquest Users Group meeting this summer, giving attendees a chance to pet three rescued puppies. 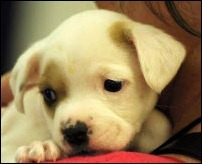 All were adopted during the conference and STS matched attendee donations made to the rescue organization. This is the second year STS has promoted the organization in its booth, raising over $4,000 and placing 10 dogs in homes. The Axolotl-powered Idaho Health Data Exchange adds St. Joseph Regional Medical Center and Pathologists’ Regional Laboratory to its network. Practice Management Associates (VA) selects the ADP AdvancedMD PM for RCM services. Citrus Valley Health Partners (CA) and MidMichigan Health (MI) select Allscripts Community Record, powered by dbMotion, and will underwrite and host Allscripts EHR for their affiliated physicians. OptumInsight names Ray Ambay, MD (Tampa Institute for Plastic Surgery), James A. Haley, MD (Veterans Hospital, Tampa), David Rossman, MD (Mass General Imaging), and Susan Strate, MD (clinical and anatomic pathologist) to its physician advisory board. DIVURGENT is participating in next week’s Epic UGM 2011 and is sponsoring a presentation by Bert Reese, CIO of Sentara Healthcare. e-MDs and Delmarva Foundation of the District of Columbia offer free assistance to DC-area e-MDs users wanting to take advantage of PQRS incentives. Allscripts, HP, Keane, and NCR are recognized by the InformationWeek 500 2011 list of top technology innovators. Kony Solutions shares findings from its Mobile Marketing and Commerce Study, including the observation that 40% of organizations believe the biggest challenge to their mobile strategy is developing applications across multiple operating systems and devices. Jersey Health Connect selects RelayHealth to provide HIE technology. Imprivata and PhoneFactor announce a partnership to provide phone-based authentication services to caregivers. GetWellNetwork’s Team in Training completed in the Nation’s Triathlon to Benefit the Leukemia & Lymphoma Society and raised $36,000. CareTech Solutions is promoting its CareWorks CMS Plug-In modules at this week’s SHSMD in Phoenix. MyHealthDIRECT CEO Jay Mason will speak at the Health IT Summit in New York September 20-21. CynergisTek CEO Mac McMillan expresses criticism of the Federal Health IT Strategic Plan for 2011-2015 in an information security article. MobileMD will participate in next week’s joint New Jersey and Delaware HIMSS Conference and Interoperability Demonstration in Atlantic City. I always enjoy hearing what readers have to say. I was double delighted to find that Daniela Mahoney’s piece on CPOE also included a recipe for profiteroles with coffee ice cream. Sounds like a good project for a quiet fall night (if fall ever arrives). She mentioned upcoming thoughts on adoption and organizational culture – I hope there are recipes included. HBMA Fall Conference in Vegas, baby. Held at the Bellagio, but actually the overflow accommodations are quite fine. Staying at your fave haunt Vdara Hotel & Spa, right in the midst of CItyCenter. Over 50 new members/attendees to the Fall Conference. Played Vendor Bingo for a chance at $1,425 jackpot tomorrow evening. Best giveaway was from Gateway EDI — decks of cards and gaming instructions. Quite creative for the Vegas venue. Started the meeting with “Hot Topics in Compliance,” but only billing geeks/nerds would be excited about this session. 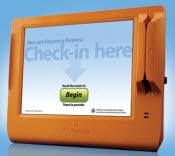 Good reality check reviewing HIPAA + HITECH, 5010, ICD-10, 2012 Proposed Physician Fee Schedule cuts – all specialties. And let’s not forget the proposed SGR of 29.5% cuts for 2012 along with Medicare revalidation! Is anyone thinking about our patients in all of this? It’s a great day to be in the billing business! P. S. Only 72 days until 5010! Despite her feelings on compliance, I’m glad Bianca is my billing geek because she definitely gets the job done. And somehow, she succeeded in NOT getting her conference budget slashed. Maybe I need her to teach me the wicked ways. Clinical note of the week: several studies, one of which was published in May’s Journal of Strength Conditioning Research, show that low-fat chocolate milk helps athletes recover from training, especially if you add an Oreo cookie (a favorite of billing software developers, from what I understand.) That’s data I can work with. At this point, I’m going to take my Oreo cookies and my glass of milk (alas, not chocolate) and run. …and “actionable” does not mean “something on which you can take action.” It means “Giving sufficient reason to take *legal* action.” I read yet another business plan this week that bragged about its already actionable results. At my institution, the people-who-stay-up-at-night-thinking-of-new-methods-to-control-what-other-people-do-in-meaningless-ways have made it so that any quote at All in your email signature is strictly verboten. Use of quotations or sayings within your message or signature block. This practice has great potential to offend so quotations must not be used and any that exist must be removed. Again, the exceptions would be special official UAMS business emails crafted for specific purpose. 3) Rampant Nepotism in hospitals means more of the bread winners work at the hospital. Re: Infosys – sounds like CTG to me. … and “emergent” doesn’t mean the same thing as “emergency.” An emergent situation isn’t one I need to react to immediately, unless you’re actually asking me to keep an eye on complex systems spontaneously arising out of chaos. Presbyterian, NM. Epic is in, McKesson loses another account. – Just like the 60’s when no one was fired for selecting IBM! If it was not for impact on the employees at McKesson I would like to see them out of anything to do with Healthcare Information Systems. There are as many Epic go lives in HISTalk as there are Epic sales. It just works. Let it be. If you have a better idea, spend your energy writing code instead of posts to HISTalk. Then sell your code and relish in your success. It’s hard work. Demonstrate you can do it. Presbyterian, NM. Epic is in, McKesson loses another account: Not sure just who you are addressing your comment to as I made no disparaging remarks about EPIC. C level management maybe and definitively McKesson. Don’t take life too seriously and enjoy it while you can. No doubt you have been told, like a lot of us, that some day it will be too late – so true. As a reference I have spent 30 of my 45 years in Healthcare Information Systems doing new technology and applications. I can relate well to Mr. Ciotti’s wonderful writings on history as have worked with or for 50%-60% of people and companies he has covered. Of course not every one that took risk to fund, buy, build, implement, use new products and technology found it paid off, but, without these risk takers improvement would be harder and take longer. Like most readers I really enjoy this site and everyone who contributes. The headlight in the tunnel is most likely my career coming to a end in the next 24 – 36 months. Still enjoying the challenge! Thanks for listening.